AQUARIUS the Water Carrier is a large constellation full of dazzling cosmic wonders. These wonders include the Helix Nebula (NGC 7293) and the Saturn Nebula (NGC 7009). 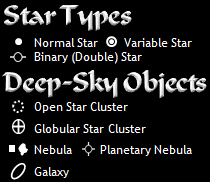 There are also many galaxies located in the region. 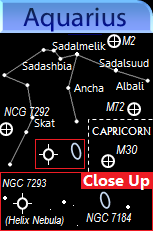 The two brightest stars are Sadalmelik (α) and Sadalsuud (β). Now you know more about Aquarius!